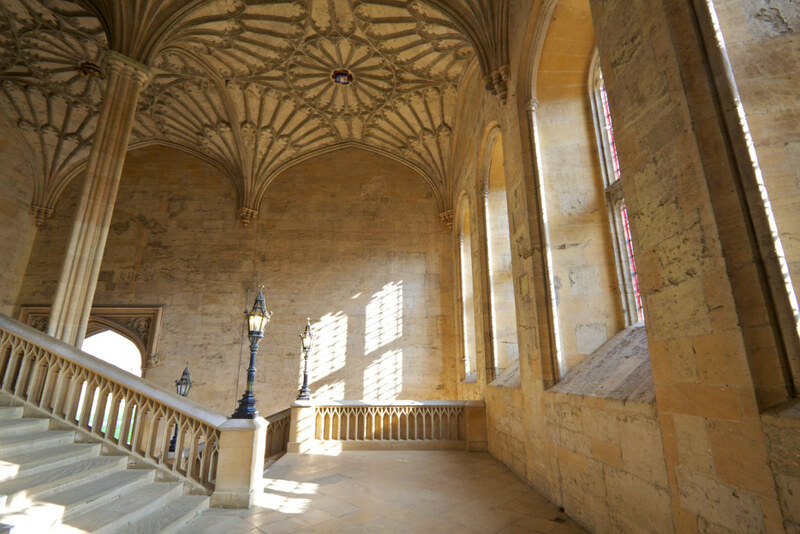 The courtyard also provides a view of the Bodley Tower (named after the architect G. F. Bodley, rather than Thomas Bodley of Bodleian Library fame), which houses the staircase to Hall. Although it fits in harmoniously with the Hall and other Gothic buildings, it was (like the Meadow Building) a nineteenth-century addition. In the course of renovating elements of the cathedral, the bells were moved to a wooden belfry above the stairs to a hall. Charles Dodgson, the maths tutor better known as Lewis Carroll, felt that this arrangement was wholly unsatisfactory and wrote a series of satires berating the arrangement, at one point calling the wooden structure a ‘tintinnabulatory tea chest’. In the wake of these attacks upon the belfry, G. F. Bodley was commissioned to build a more suitable tower in a Gothic style appropriate to the Hall. Bodley had wanted to place an even more elaborate structure on top of the present day tower, but the Governing Body felt that it was too ostentatious an addition. 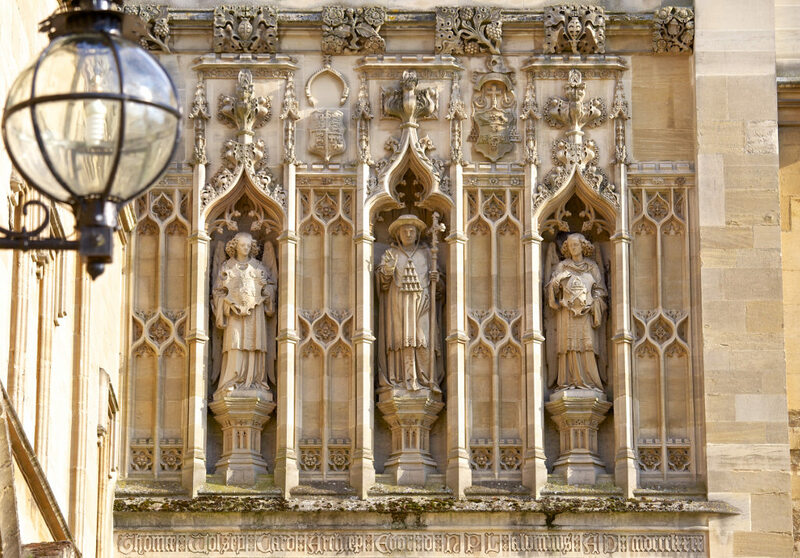 Be sure to admire Bodley Tower from Tom Quad, which provides by far the best view. 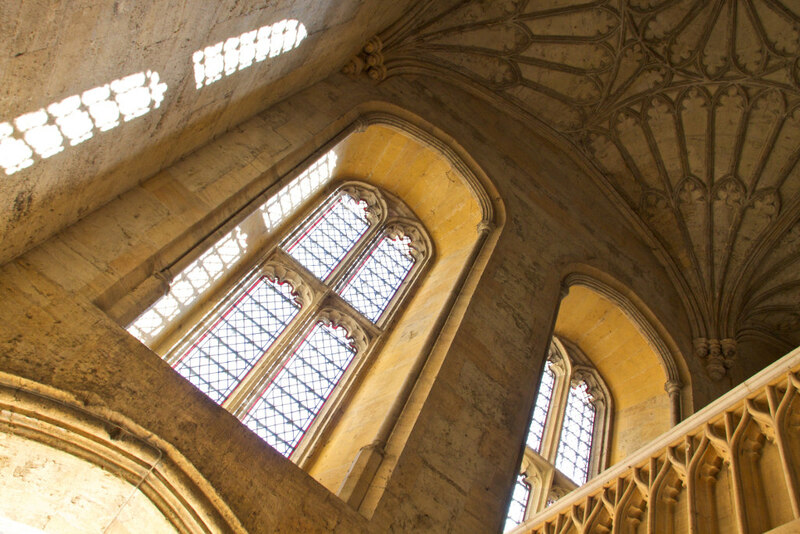 As you pass into the Tower you will be directed up the staircase towards the Hall. 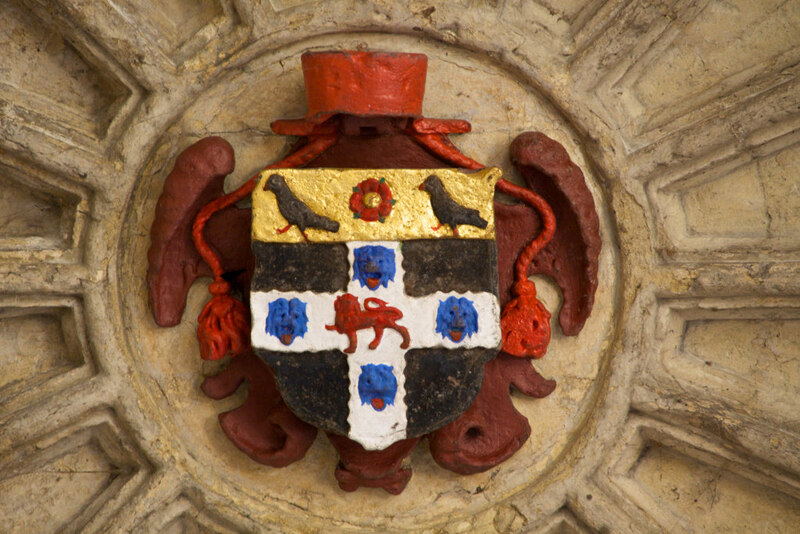 Wolsey envisioned the college becoming a grand, scholarly establishment but, much to the delight of his rivals, he ensured that the kitchens and hall were the first buildings to be completed. The Cardinal, known for his own appetite, was lampooned for allowing college dinners to begin before there was even a library. 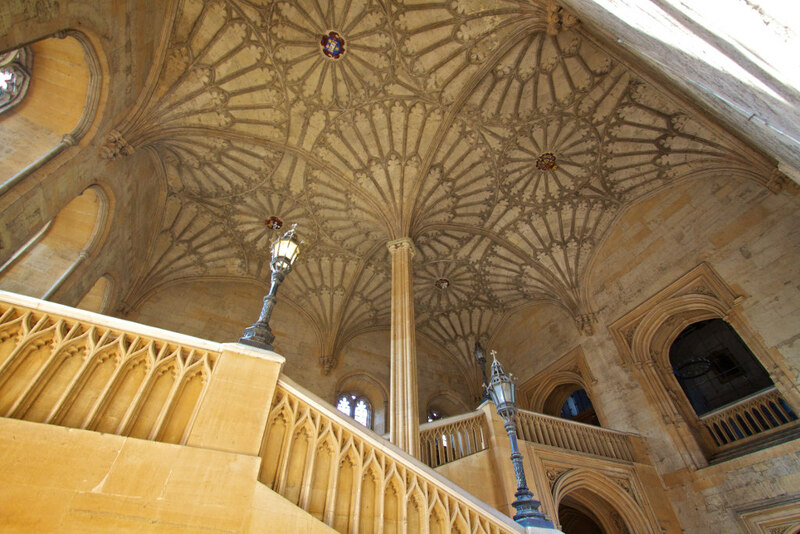 Following Wolsey’s fall in 1529, most of the college was still under construction and it was only later that the staircase you now see was installed (the present incarnation dates from 1805). 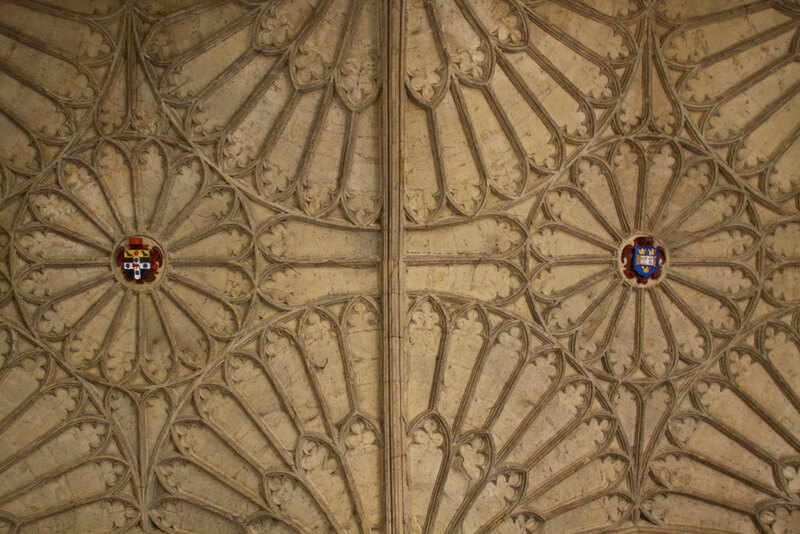 The dramatic fanned vaulting of the ceiling was installed just before the civil war, in 1638; the style is medieval but it was made possible by the new techniques of the seventeenth century— another example of Christ Church’s fine balance between the old and the new. 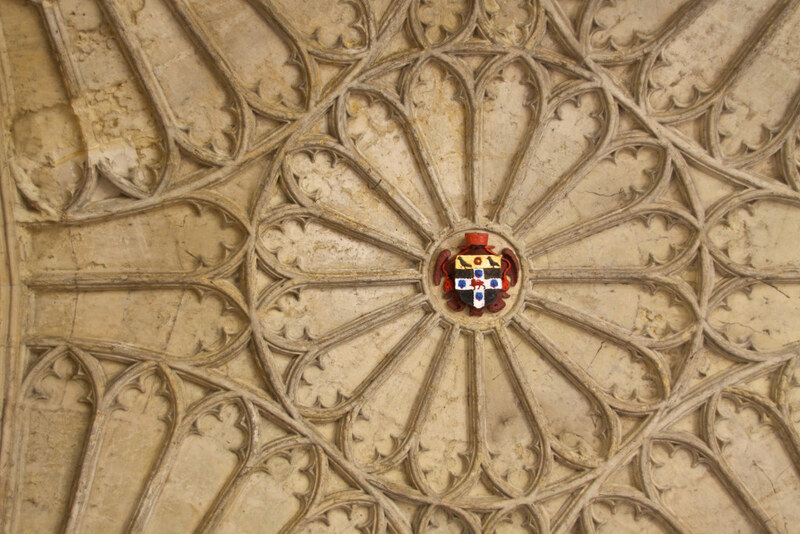 The vaulted staircase, Wren’s Tom Tower, the Meadow Building and Bodley Tower all harken back to the Gothic style, but were built to fulfil the college’s changing priorities. 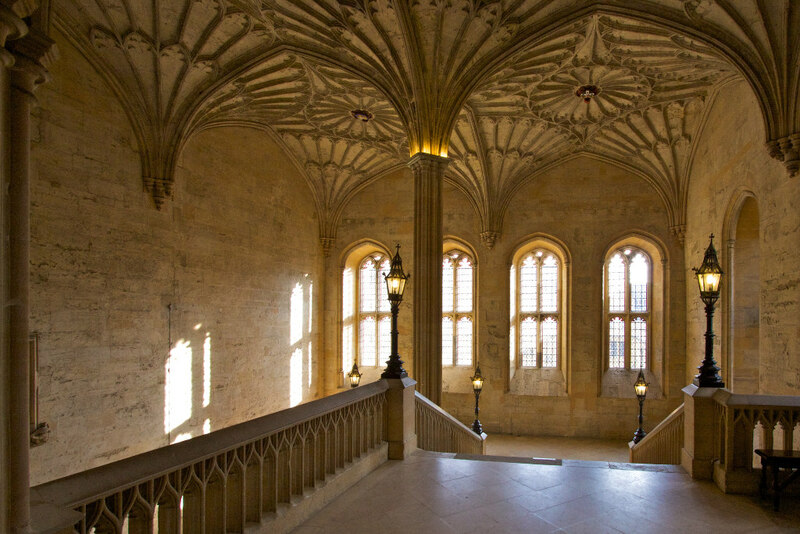 The elegant staircase may be familiar, for it has been utilised in a number of film and television projects including Lewis and Harry Potter. After descending the stairs be sure to note the markings on the doorway, especially the ‘No Peel’ graffiti. This was not a response to anything served up in the Hall - instead, it was a protest at the potential re-election of Robert Peel, Christ Church alumnus and later prime minister, as the MP for the University. In 1829 Peel had announced his support for the emancipation of Catholics within Britain, though he had previously opposed such a move (Catholics at the time were barred from holding public positions). Peel knew that his volte-face conflicted with University policy and resigned his seat, but was promptly nominated to stand for re-election. The anti-Peel party set about making its feelings known in a divided Christ Church, nailing the door of the then treasury with the message ‘No Peel’. Due in part to their efforts, Peel was defeated in Oxford, but he returned to Westminster as MP for a small borough in Wiltshire. To this day, there is no picture of Peel within the Hall, even though he ranks among the most eminent of the college’s alumni.